This is the site of the former Advanced School for Girls. It was the first secondary school the colonial government established, and the first school for girls who wanted to study past primary level. A state school for boys did not appear until nearly 30 years later. The city's need for a girls' secondary school emerged after the South Australian Education Act passed in 1875. There was no state secondary school for girls or boys at the time. Boys could go on to further education in the private schools system, but there were no private schools for young women. The Education Act made it possible to set up an advanced school in any district where there were at least 40 children over the age of twelve that would enrol. The Advanced School for Girls opened on 7 October 1879. At first it operated from a private two-storey home on Franklin Street. Eventually a site on Grote Street was found, and in 1891 construction of this building began. The 1875 Education Act also introduced compulsory primary school education in the colony. Enrolments increased, and soon there was a growing need for trained teachers. The Advanced School's new location helped it encourage more young women to become teachers, as it was located next to the Training School for Teachers. C.E. Owen Smyth, the superintendent of Public Buildings, designed the brick school. Smyth also designed the first section of the Art Gallery of South Australia and the north wing of the South Australian Museum. The school had 11 rooms. Five were classrooms, and there was a dining room and a kitchen. In 1902 a music room was added. In 1908, the Training School for Teachers complex and the Model School joined to form the new Continuation School for Boys. Later that year the boys school combined with the Advanced School for Girls to become the Adelaide High School. This was co-educational, but boys and girls were taught separately. Student numbers increased and the school needed more space. From 1917 it began expanding to other sites around the city. A new Adelaide Boys’ High School opened on West Terrace in 1951. Female students stayed at Grote Street and the school was renamed the Adelaide Girls’ High School. In 1976 the schools were again joined at the West Terrace location, which became Adelaide High School. By 1979 the final girls at the Grote Street school moved to West Terrace. Adelaide High School still operates there today. 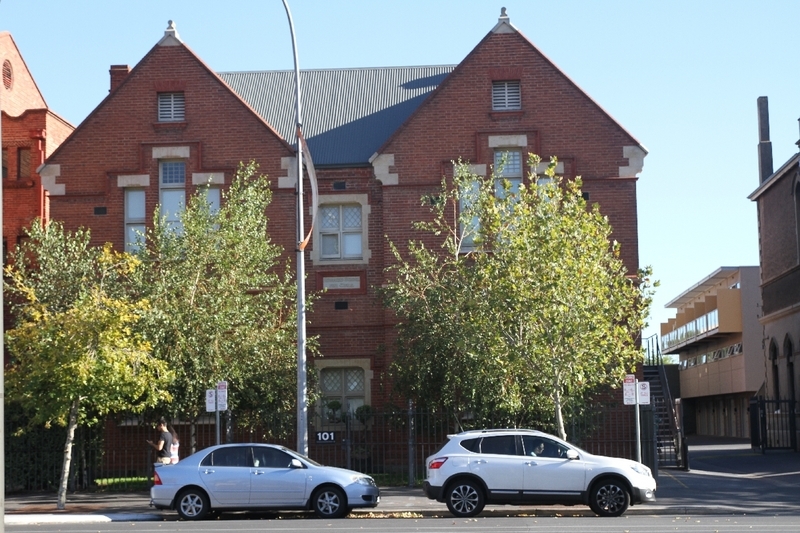 “Advanced School for Girls,” Adelaide City Explorer, accessed April 26, 2019, https://adelaidecityexplorer.com.au/items/show/40.